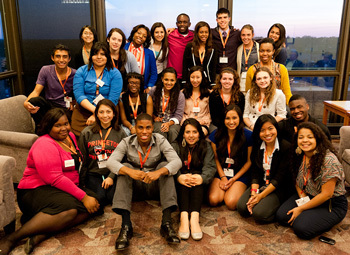 The Princeton Prize in Race Relations (PPRR) was established to honor young people who improve racial harmony in their schools and communities. Every year, the Boston chapter of the PPRR awards a $1000 cash prize to a Boston area student who makes a difference in the realm of race relations. The winner is also invited to take an all-expense paid trip to Princeton University to attend a two-day symposium on race relations and to meet the other student winners from the 23 other U.S. cities where the Prize is sponsored. Reading the applications is an inspiring activity and a great way to meet other alumni in the Boston area. Consider becoming a reader for the 2013 prize. For more information contact Melissa Rubin at Melissa@thestudentfirst.com.